The Ugandan speaker of parliament Hon Rebecca Alitwala Kadaga has quietly returned to Uganda as she is recuperating from the illness. It should be noted that the she was flown to Nairobi, Kenya for specialized treatment last month. 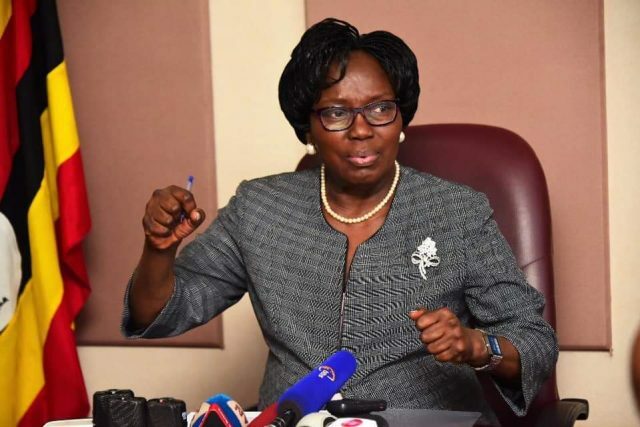 According to sources, Kadaga arrived on Saturday 13th April 2019 in the evening via the Old Airport Terminal at Entebbe International Airport, intended for her return to go unnoticed for privacy reasons. This might be the reason why she even didn’t use her official armored convoy.